#712 – We Salute Our Veterans - Agracel, Inc.
On behalf of all of Team Agracel, we want to extend our gratitude to all who have served or who are currently serving our great country. Cole Horner – Marine Corps. Thank you to all for serving our country and protecting our freedoms! 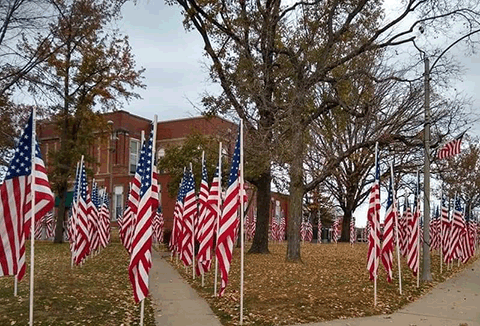 The picture below is of a nearby community, Newton, Illinois, that celebrates Veteran’s Day every year by displaying the burial flags of their local veterans. This year, 519 flags were displayed on the courthouse lawn. It is truly an amazing and humbling site.